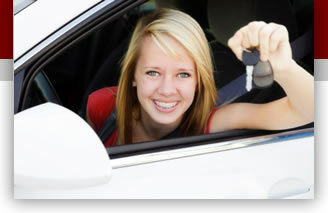 To register for a Home School Class with Jordan Driving School, YOUR STUDENT MUST BE A RESIDENT OF MECKLENBURG COUNTY. If you live outside of Mecklenburg County, you will need to contact the closest public high school in your county to speak with the person in charge of Driver Education. They will let you know what classes are available to home school students in your county. The following are the scheduled dates for our Home School Class Program. Classes will run for 5 days with NO MAKEUP DATES. This class will be held at University Hills Baptist Church. Students will need to bring a copy of their Birth Certificate on the first day of class. Other items needed are a copy of the receipt of payment, a bagged lunch, a drink, and a pen and paper to take notes during the classes. If you do not have access to the Internet, you can still guarantee a spot in a session and receive a receipt by coming by the Jordan Driving School offices before the first day of class and pre-registering. Please call the Jordan Driving School offices at 704-566-9900 before coming to the office to see if space is available for the class that you are interested in. Payment can be made with a certified check, money order or cash. Certified checks or money orders should be made payable to, “Jordan Driving School Charlotte”. PERSONAL CHECKS CANNOT BE ACCEPTED. Class Session Capacity Information: The maximum number of students for a class is 35. Should all 35 spots be pre-paid, then no new or wait-listed students will be added to the class on the first day of class. If space is available, students may be added to the class, and can pay the $65 fee on the first day of class by cash, certified check, or money order. Certified checks or money orders should be made payable to, “Jordan Driving School Charlotte”. PERSONAL CHECKS CANNOT BE ACCEPTED. There must be a minimum of 30 students paid on the first day of class, or the class will be cancelled. If a class is cancelled because of insufficient numbers, those students who have already paid the fee will need to call the Jordan Driving School office to see if there is space available in the next planned class at Unversity Hills Baptist Church. Classroom Location: For further details about this class, contact the Driver Education Site Coordinator. There are no classes currently scheduled at this location.